Money & Dating #2 — Peace of Mind Financial Planning Inc.
Use discretion in your money matters. Be true to who you are – financially and otherwise – but don’t share financial specifics with people unnecessarily. In a new relationship, you don’t need to reveal your finances until things start to get serious. So what does that look like from a monetary perspective? People who are in a dating relationship often want to do special things together and impress each other. But it’s not a good idea to have your couples activities break a reasonable budget for you. That’s part of being honest with the person you’re dating. It’s a problem to start a relationship being someone you’re not financially. If your income supports a fast food budget, don’t lead a significant other to believe that fine dining is a regular expectation. And it’s certainly acceptable to say that a particular activity is too pricy or to suggest a less expensive activity. A trip together, which is often a step in getting more serious, can be telling in terms of how you each prioritize financially. What type of lodging, meals while you’re traveling, and activities do you each want? How do you divide expenses? Equally? Maybe one of you pays for the hotel and the other buys meals. It’s a good indication of how you each handle finances. When a relationship turns serious, think about sharing financial details. I you’re going to get married or move in together, you definitely need to know if your significant other can responsibly manage joint finances. If you both work and will share expenses, you need to know each other’s income. If you make substantially different incomes, you need to decide how to share joint expenses. Will you split housing costs proportionate to income or equally? For instance, if you make $5,000 a month and your significant other makes $2,500 a month, you could split big expenses with you paying two-thirds and your partner one-third, you could divide the expenses equally, or some other method. Perhaps you pay housing and your significant other pays utilities and buys groceries. While it might seem unromantic, documenting financial obligations before you move in or get married is wise. If you can’t talk about difficult financial issues when the relationship is growing, it’ll be more difficult if you aren’t getting along later. If you decide to sign a financial agreement, be prepared to share information in the form of official documents – account statements, tax returns, pay statements. You should each have advice from an attorney and sign your agreement in front of a notary. Relationships aren’t about money – or they shouldn’t be. You don’t want to buy affection. 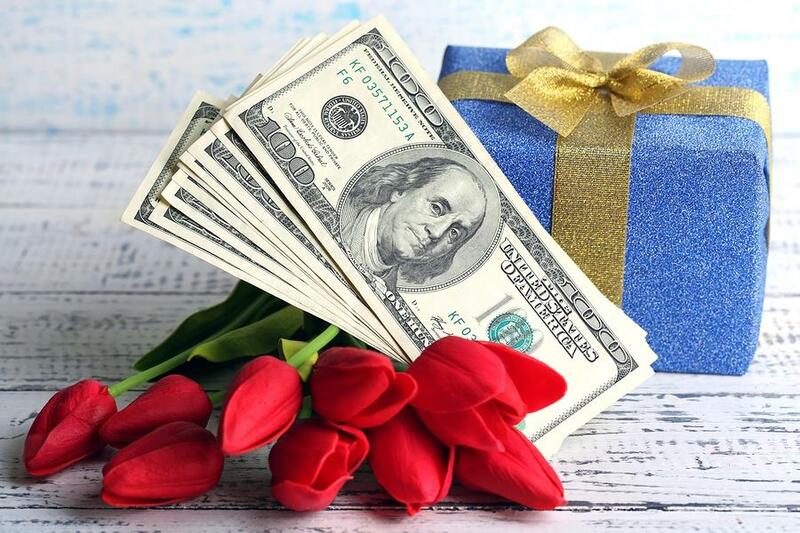 If you impress a love interest with expensive dates and gifts, you won’t know if the attraction is to you or to the money. And if you get into a relationship for money, you might just end up earning every penny.